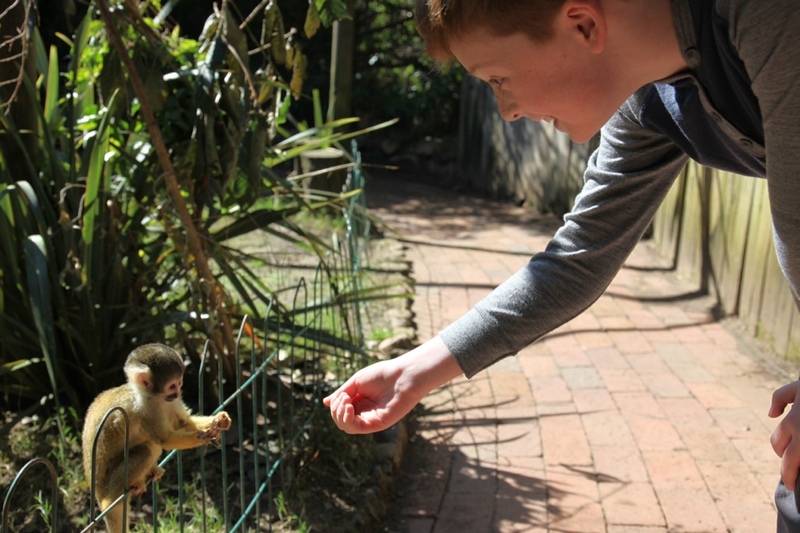 When we were preparing and packing for our trip to South Africa I looked online for suggestions of what and how much to pack for us, two adults and two kids. The weather was predicted to be mid to high twenties (Celsius) during the day and colder in the mornings, evenings and overnight. It certainly was cooler in Cape Town than in both Johannesburg/Maropeng and Tswalu. It was especially hot during the day at Tswalu. But it was quite cold on our early morning game drives. On many safaris, including ours, you are restricted in the amount of luggage you can take and you need to pack in soft sided bags (not wheely bags). For Tswalu we were restricted to 12 kg each of checked luggage and 6 kg each of hand luggage. So just 18 kg each. I also read online advice about colours and fabrics for safari clothes (not black, not navy, not white, not red!). Also of relevance, in Cape Town (at the Cape Grace Hotel) we could send dirty laundry to the cleaners and have it charged to our room; at Tswalu our laundry was free. Several safari lodges include free laundry, so it is worth checking. 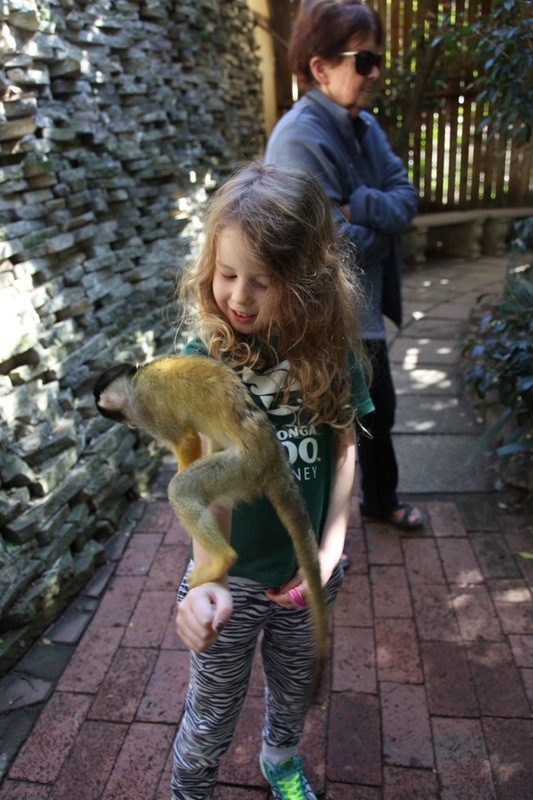 For families planning a safari, here’s how we packed and what we packed for this trip. Perhaps it will help you. 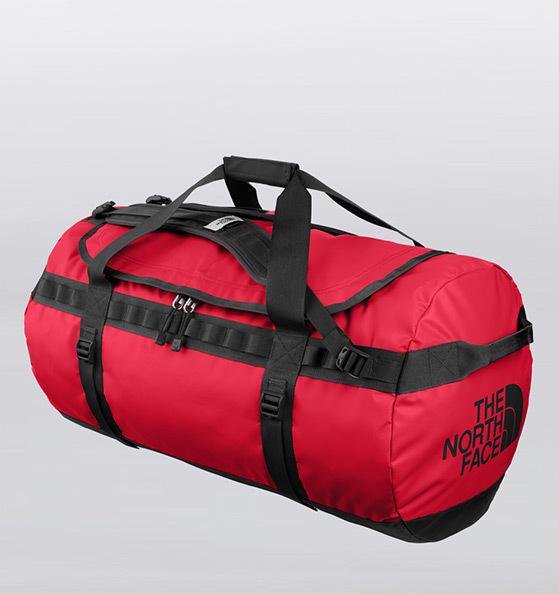 For checked luggage, we used two North Face Large Base Camp duffel bags (90 L each), packing 1 adult and 1 kid’s clothes per bag. We also took a Samsonite suit bag, packing our “good clothes” for the Blue Train’s formal dinner, as well as overflow items. 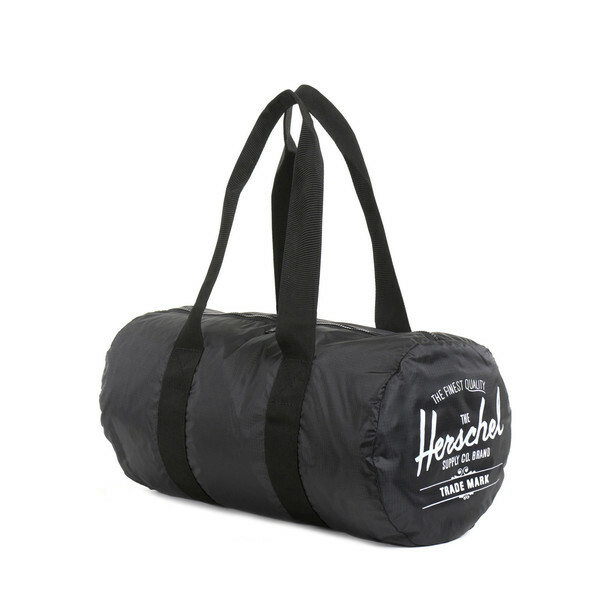 In addition, we packed a light weight Herschel Packable Duffel Bag (30 L). 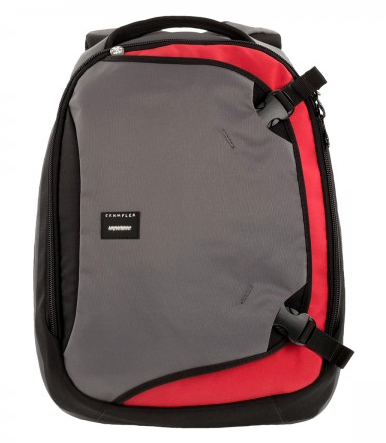 This cunning bag folds up into a small package and then unfolds into a good-sized bag. We used this on the Blue Train to separate out items from our large duffel bags we wanted in our cabins (the rest of our luggage was stored in a luggage carriage). We also used it to carry home souvenirs we needed to declare to Customs. 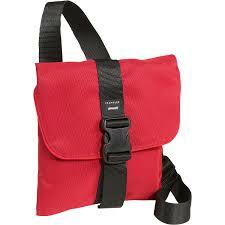 Finally, I packed an empty Crumpler iPad bag in my luggage to use on day trips as my hand bag. When fully packed before leaving, our luggage weighed about 62 kg, 10 kg less than our weight limit. And we were well under our 48 kg checked luggage and 24 kg carry on luggage limits. This is partly because our kids’ back packs weighed very little. I recommend limiting toys and other items from home since kids will pick up souvenirs and other items on their travels. So start light! 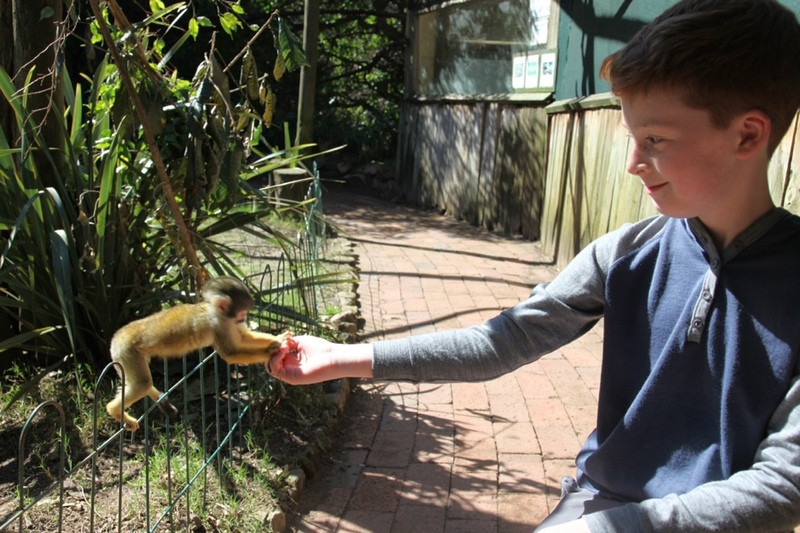 For both adults and kids we used a rule of thumb of 4-5 days of clothing, planning to do laundry when we reached Cape Town and then at Tswalu. We ended up doing a large load when we arrived in Cape Town and another small load just before we left for Tswalu. Then we did another large load our first day at Tswalu and small daily extras (because it was included in the cost of our room). A rain jacket (which we didn’t in fact use — no rain on our trip — but still worth packing). Most of Oliver’s clothes were in neutral colours: grey, green, blue. Most of Louisa’s clothes were in purple, lilac, green. We didn’t especially look for “safari” clothes so everything could be worn again back in Sydney. Most of my clothes were navy, grey and cream; colours I often wear. Dark colours such as black or navy are not recommended in summer in Africa because they attract the heat or flies, but I had no problem with them in spring. Peter’s clothes were like Oliver’s: grey, green, blue. Again, we didn’t want to buy special “safari” wear looking clothes, which we might not get use out of back in the city. We easily had enough clothes as well as met our luggage limits. In addition to the items above we took chargers and cables for our electronic devices (including a plug for Africa and a power board), a large Canon 5D Camera plus lenses for good quality animal shots, a small point-and-shoot camera, and a small video camera for the kids to use. I was tempted to buy into the whole safari look, but mostly we took and packed our normal clothes with just a few additions: Oliver and Peter’s pants with zip off legs, which they will reuse for Scouts; our rain jackets; our new fleece jackets; and some extra easy care shirts. At Tswalu, a number of the other guests were wearing safari kit from top to toe, but many were in the midst of a series of safari stays spanning many weeks. For just 5 days, our selection of clothes worked well (with just a few items we should have left at home). The most important thing is to pack light if you can and use laundry facilities at your accommodation. I hope this list helps in planning your African adventure. Please add any other suggestions in the comments below. 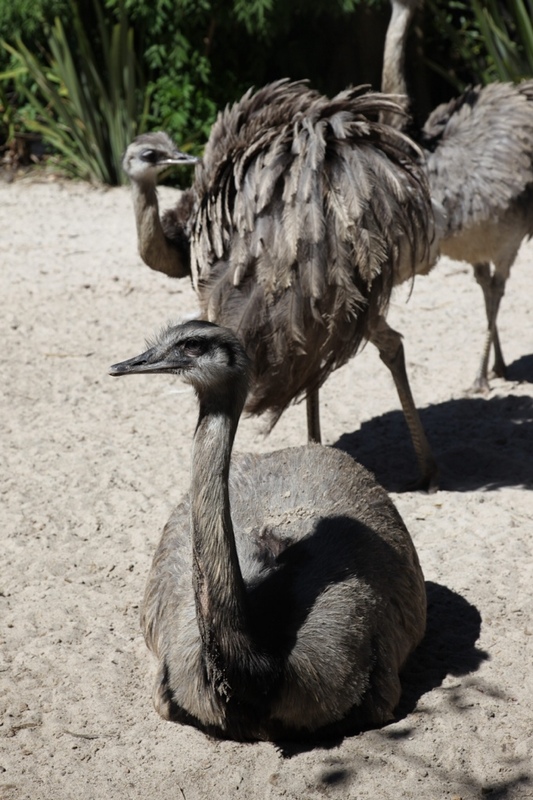 This entry was posted in Africa, Before our trip, Cape Town, Hotels, Johannesberg, Packing, Planes, Planning, Trains, Tswalu Kalahari Game Reserve, Uncategorized on September 22, 2014 by Amanda Barnier. 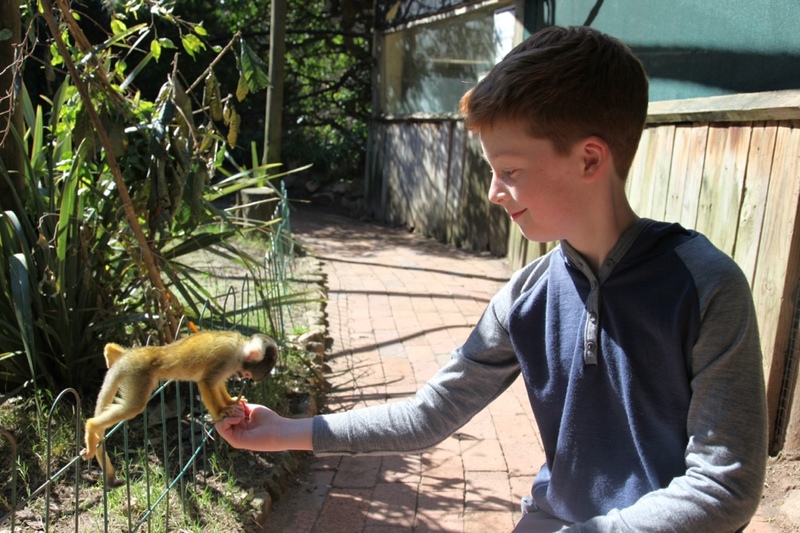 Now that we have returned from our two week family holiday in South Africa, here are our top recommendations for places to stay and things to do, see and buy. I’ve already posted suggestions for successfully travelling with children (based on my trip with Oliver to Europe last year and which we tried to follow this trip). And you can read here for safari packing tips. 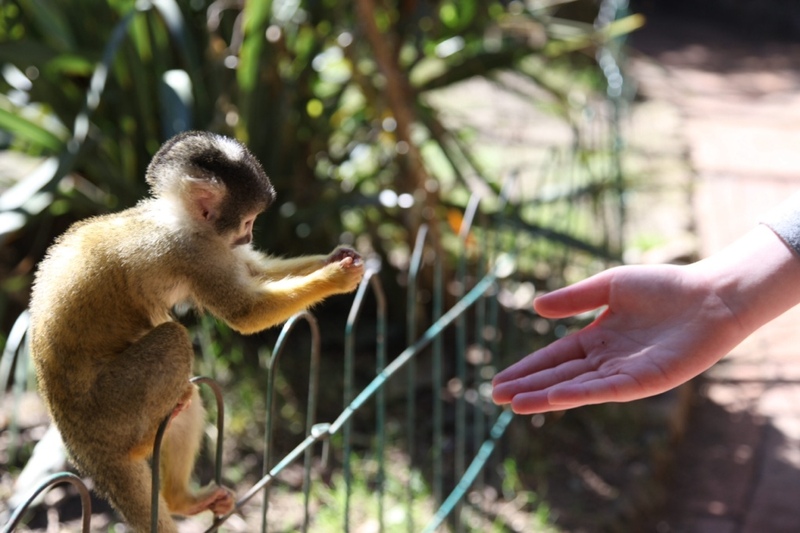 So in this post I focus on people, places and things in South Africa that we loved and recommend to others (especially families). 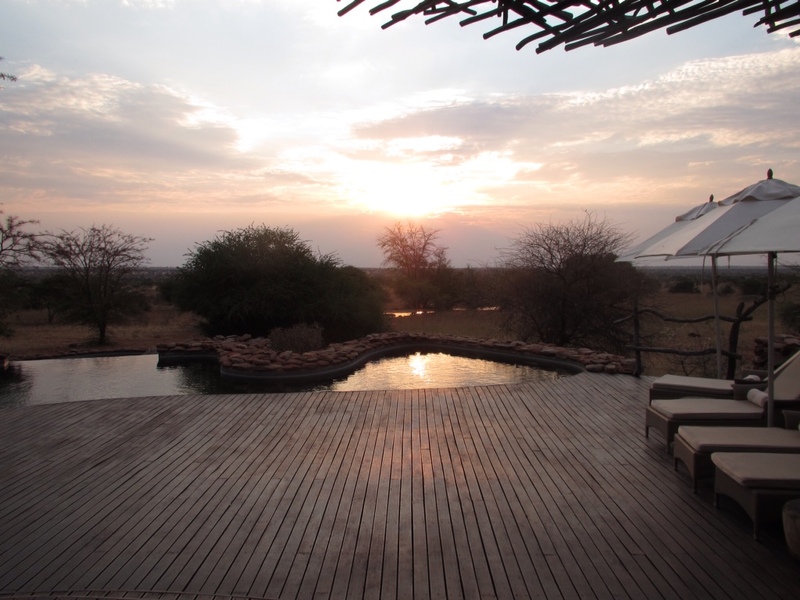 We all agreed that the highlight of our trip to South Africa was our four night stay at Tswalu Kalahari Reserve in the Green Kalahari of the Northern Cape Province. Tswalu is a luxury private game reserve catering to just 30 guests at a time. 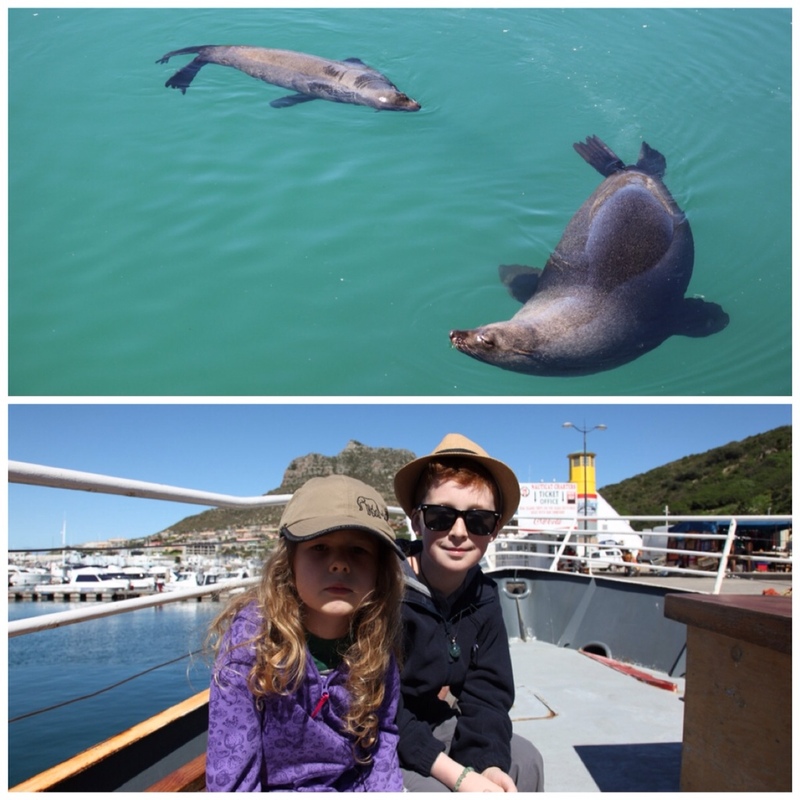 We chose (and extended) the Cape Grace/Tswalu package, which gave us five nights in Cape Town (see below for more on Cape Grace) and four nights in The Motse, Tswalu. 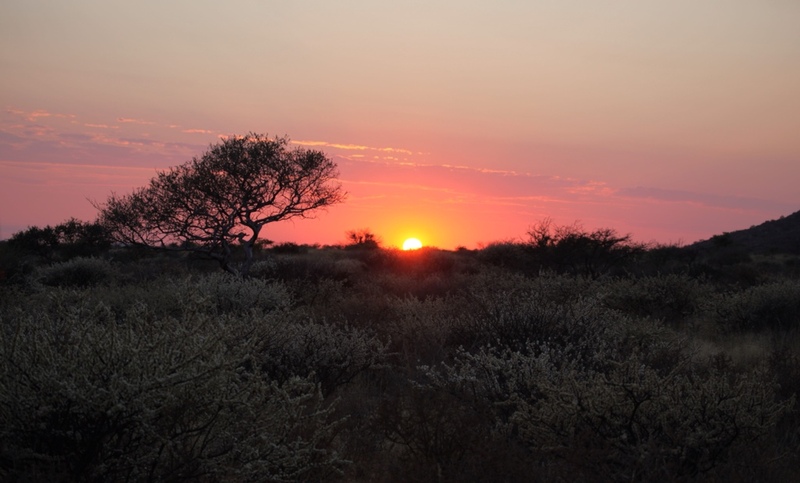 Read about our magical experiences at Tswalu here, here and here. We flew to South Africa from Sydney, Australia on Qantas. We were pleased to secure direct flights to Johannesburg with no stop over in Perth. So just 14 hours to South Africa and 12.5 hours home (which is a very manageable flight time and distance coming from Australia). The outbound flight worked well because we arrived in Johannesburg in the evening and could go straight to bed when we arrived at our hotel in Maropeng. Our evening homeward flight also worked well because the kids slept most of the way home, tired from the early starts for game drives at Tswalu. We travelled from Pretoria in the north east to Cape Town in the south west on the Blue Train. The journey, in luxurious surroundings, takes 28 hours. Through the large picture windows we gained amazing insights into the South African landscape and life. 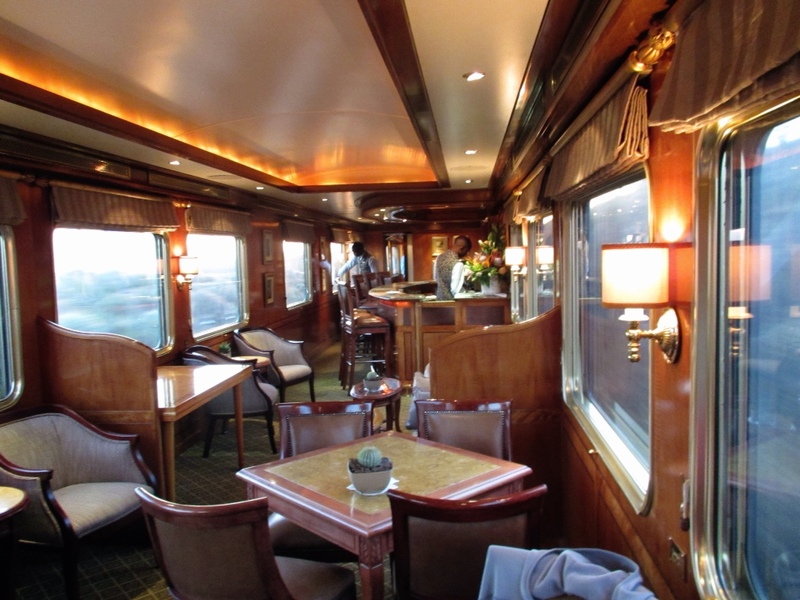 Read about our experiences on the Blue Train here. 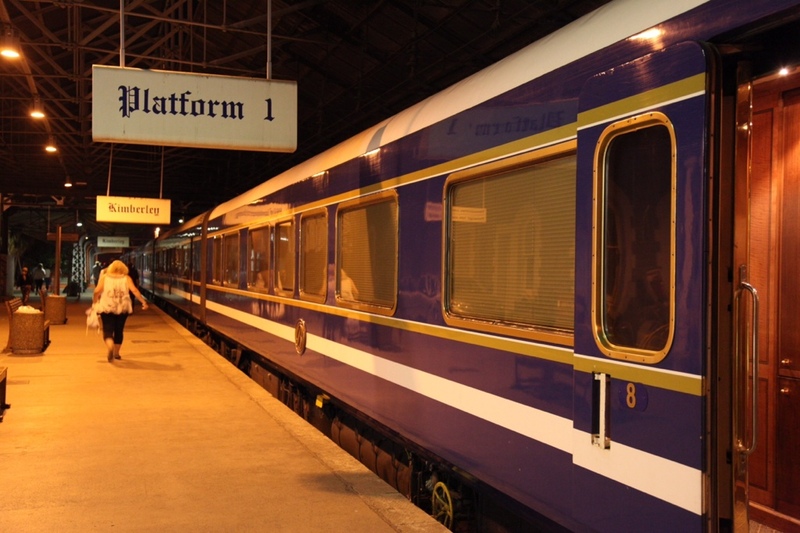 Although we enjoyed the novelty and comfort of our overnight train journey, I think it is one best suited to couples, young or old, than to families with young children. We were the youngest by far on the train and the train’s magnificent style and five star service probably are best appreciated by those with time and freedom to sit and ponder in the Club Car or linger over drinks in the Dining Car. 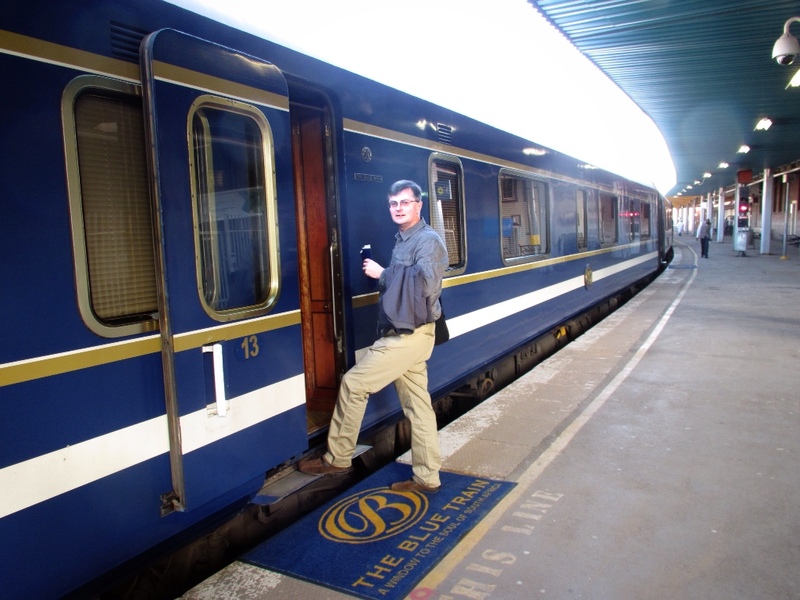 The Blue Train also is best for people who are untroubled by motion sickness. The ride could be rather bumpy at times and I had 24 hours of mild disembarkation syndrome when we arrived in Cape Town. 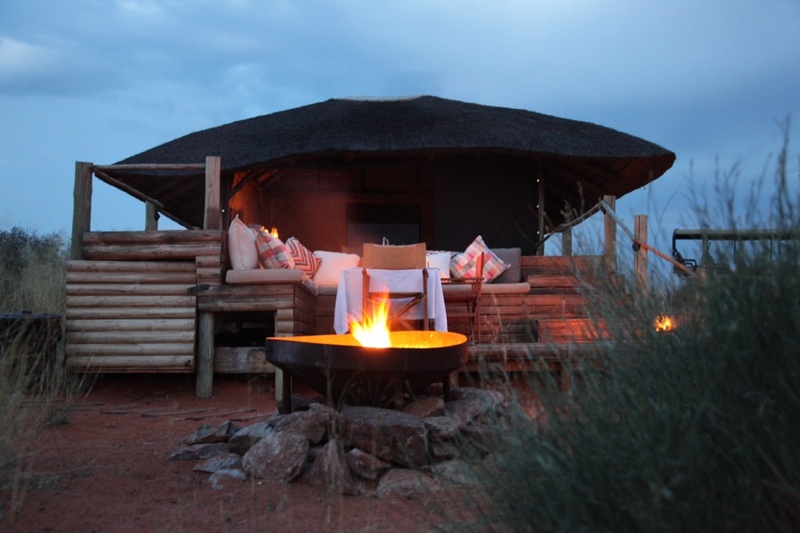 As above, our #1 hotel recommendation is Tswalu Kalahari, especially if you are looking for a unique safari experience. But we also stayed at four other hotels, three in the major cities of Pretoria, Cape Town and Johannesburg. In Cape Town we stayed at and highly recommend Cape Grace Hotel. Situated on the V&A Waterfront in Cape Town, Cape Grace is a beautiful and very comfortable hotel. We stayed in a two bedroom apartment, which was enormous and included a kitchenette, dining area, large lounge area, two ensuite bathrooms, an extra toilet and a verandah with an outdoor table and chairs. The service was impeccable with lots of complimentary in-house activities for kids (including gingerbread decorating, free xbox games for the room’s xbox machine, board games). We used room service quite a bit for dinner, eating on the verandah. The meals were amazingly inexpensive. Louisa and I also tried Cape Grace’s Spa, which again was lovely and inexpensive. The Concierge and Reception Staff were extremely helpful, providing lots of tips for our stay in Cape Town as well as complimentary shuttle service within a 10km radius. On one day we ordered a picnic lunch to take on a tour of Cape Peninsula. We ended up with bags and bags of food and drinks that lasted us all day and night for a very reasonable cost of less than AUS$50. 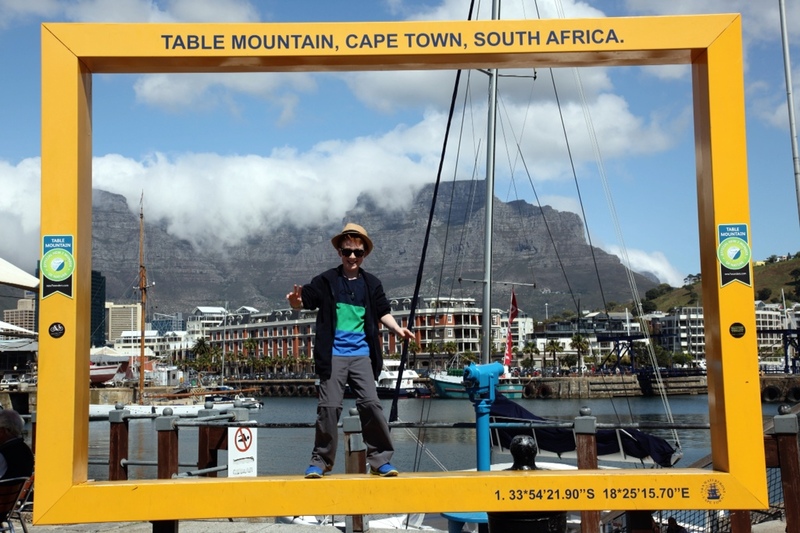 Read about our experiences in Cape Town and at Cape Grace here. Outside of Johannesburg, in the Cradle of Humankind World Heritage Site, we stayed for two nights at the Maropeng Hotel. 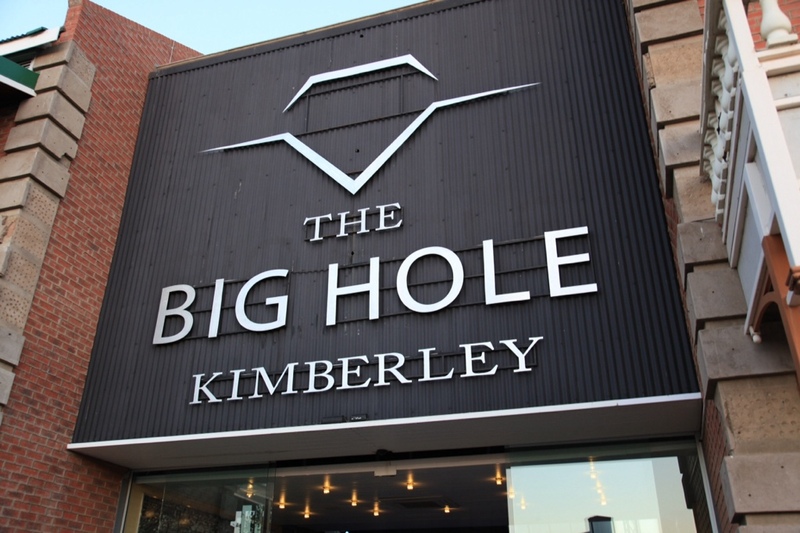 This boutique hotel is located just moments from the Maropeng Visitor Centre and saved us a long drive from Johannesburg to this fascinating place. I was very keen to see the Cradle of Humankind Exhibition and the hotel made this easy. Again, it was geared more to adult visitors than children but the rooms were large and comfortable. The breakfasts, included in our room rate, were delicious. Maropeng is quite a way from Johannesburg and near no other shops or activities — we came just for the Maropeng Visitor Centre — so may not suit everyone, especially if you don’t have a car (we were driven from the airport to Maropeng in a shuttle). 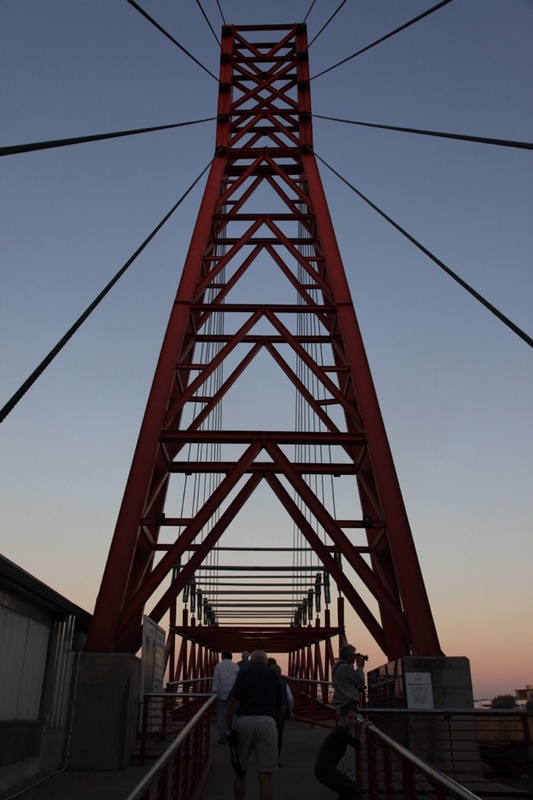 Read about our experiences in Maropeng here. On the night before we joined the Blue Train we stayed at the Sheraton Pretoria. As you would expect from Sheraton, this was an extremely comfortable and beautiful hotel right across from the Union Buildings, the official seat of the South African Government. Finally, on the night before we flew home, after Tswalu, we stayed at the Michelangelo Hotel in Sandton, Johannesburg. This hotel seemed very large and busy after the privacy of Tswalu but appealed to us for its position next to Nelson Mandela Square and the Sandton Shopping Complex (good for souvenir shopping!). There are lots of hotels to choose from in the Sandton area. All of our hotels included free wi-fi, which made life easier for adults and kids with devices! In places such as Johannesburg foreign visitors are recommended to hire cars or drivers since public transport is limited. So in Johannesburg and Cape Town we organised guides/drivers to transport us from airports to our hotels or to take us on tours. In Cape Town we highly recommend Safari Lodge Shuttle. We were very fortunate to book Liese Mossner-Sequeira from this company to collect us from OR Tambo International Airport in Johannesburg and drive us to Maropeng, and then the next day to take us on a tour of the Ann van Dyk Cheetah Centre and some local markets before driving us to our next hotel in Pretoria. 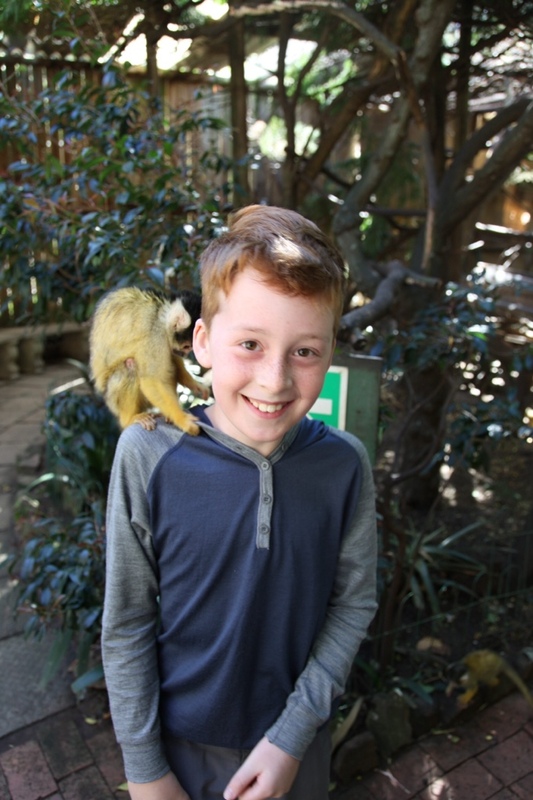 Liese was incredibly knowledgeable, very friendly and wonderful with our children. 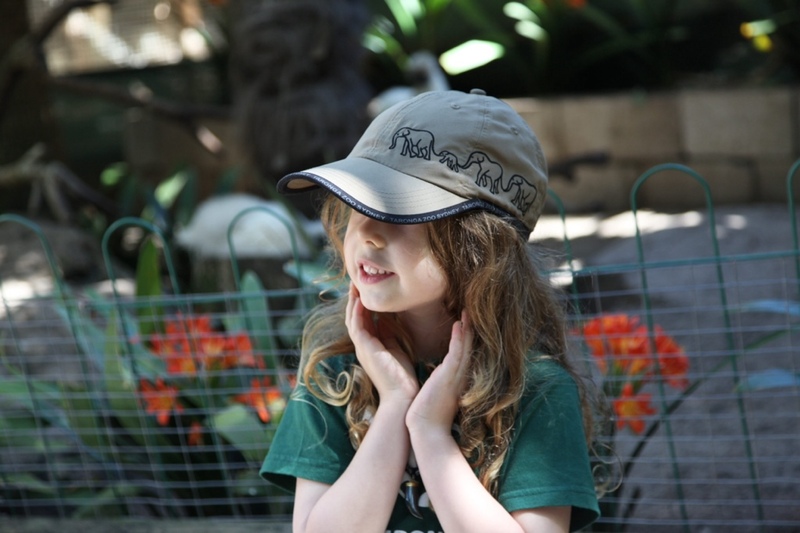 Read about our experiences with Liese at the Cheetah Centre here. 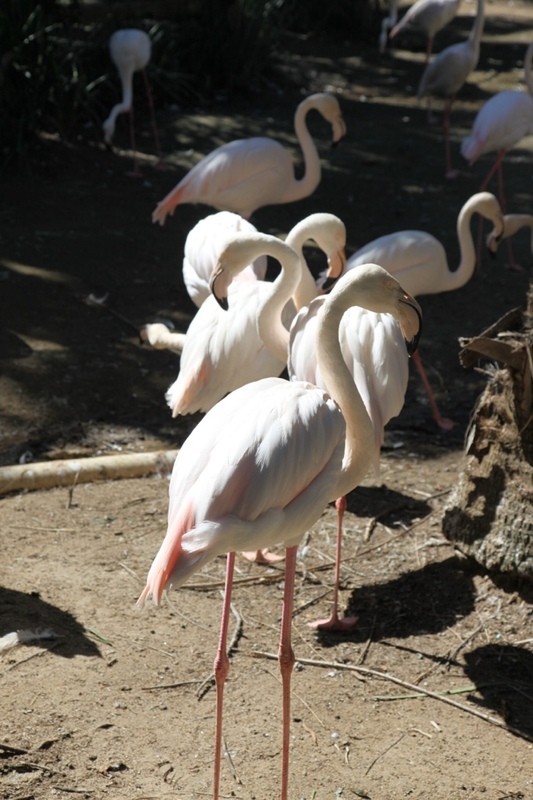 In Cape Town, the Concierge at Cape Grace recommended Jarat Tours. We booked them for a day to drive us down the Cape Peninsula. Read about our drive here and here. Although our driver was not as excellent as Liese in Johannesburg, our shuttle bus was comfortable and affordable (about AUS$325 for 7 hours of driving plus we paid all entrance fees and tolls). 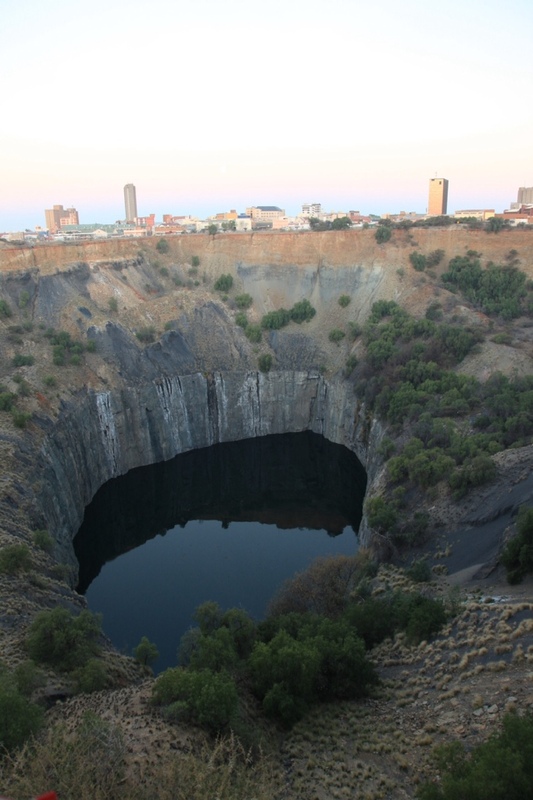 Here is a list of places we visited in Maropeng, Johannesburg, Cape Town, the Cape Peninsula and at Tswalu. All highly recommended for adults and kids. We mostly ate in our hotels or quite simply. But in Cape Town we went to the highly recommended Gold Restaurant, featuring Cape Malay and traditional African food. Dinner included a lesson in African drumming as well as African face painting, music and dancing. This was a fantastic, and inexpensive, night of African food and culture. 1. Football jerseys. When Oliver and I visited Europe last year he bought some football (soccer to us in Australia) jerseys in London. 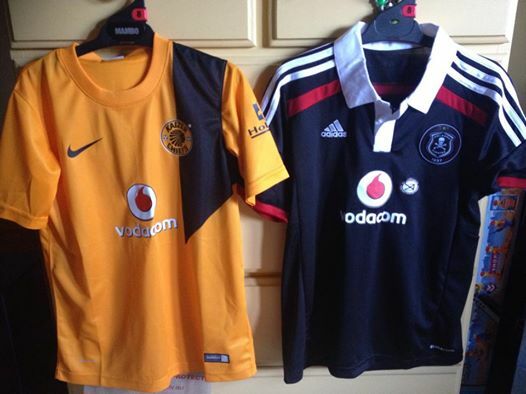 We found some terrific new ones in a sports store in Sandton: the jersey of the Kaizer Chiefs and the jersey of the Orlando Pirates, two South African Premier Soccer League teams based in Soweto. 2. Carrol Boyes silverware. Carrol Boyes is a South African designer who makes beautiful pewter and silverware with African and other motifs. In Tswalu I found some wonderful teaspoons with Meerkats on the handle. In addition to the specially created designs at Tswalu, we visited Carrol Boyes stores in Sandton and OR Tambo International Airport. 3. Born in Africa plush toy african animals. During our trip Louisa collected a whole zoo’s worth of plush animals including Cheetahs, African Hunting Dogs, a Rhino, a Zebra etc etc. Relatively inexpensive, good quality and a great souvenir for smaller kids. Celebrated for its iconic hand-embroidered teddy bears, Taunina is a luxury house synonymous with timeless artistry and social upliftment. The company provides full-time employment to women from disadvantaged communities in Africa through its flagship atelier in Cape Town. Each creation is one of a kind, designed and embellished by a single artist over five to seven days. The rare beauty of a Taunina collection pie ce lies in the opportunity it affords a woman in need to provide for her family and be recognized as an artist. Taunina bears carry the initials of the women who make them, symbolic of their sense of dignity and pride. Each bear travels in a handcrafted hatbox with his or her very own bespoke passport. A Taunina creation is a work of art, an heirloom to be passed from one generation to the next. It a gift that changes lives. 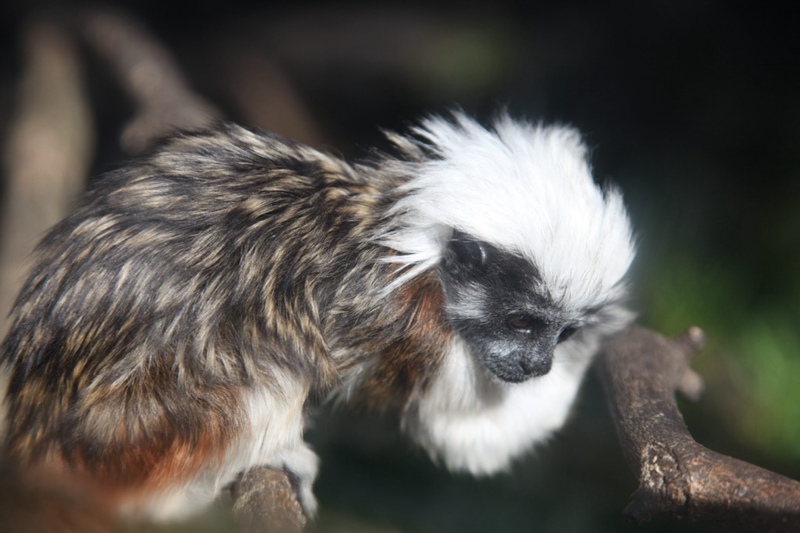 I chose a little one named Crispin who looks somewhat like this but in grey. 5. Books about South African history. I chose two with great reviews on Amazon: Diamonds, Gold and War: The Making of South Africa by Martin Meredith; and A History of South Africa by Leonard Thompson. 6. Finally, in De Wildt outside of Johannesburg, in Cape Town, and in Hout Bay we visited local markets and shopped for smaller trinkets and jewellery. Because of Australia’s strict customs laws we were careful not to choose anything made of wood. But the kids chose a number of bracelets and necklaces made of stone or beads. I got ripped off in the De Wildt market when one stall holder started the bargaining process by asking for 4500 Rand (AUS$450), which I managed to get down to 700 Rand, but still too much for what I bought. I preferred the Cape Town and Hout Bay markets and shops where the prices were marked on the items. If not, then take a local with you. We hope these recommendations are helpful. Please add your own suggestions below in the comments. 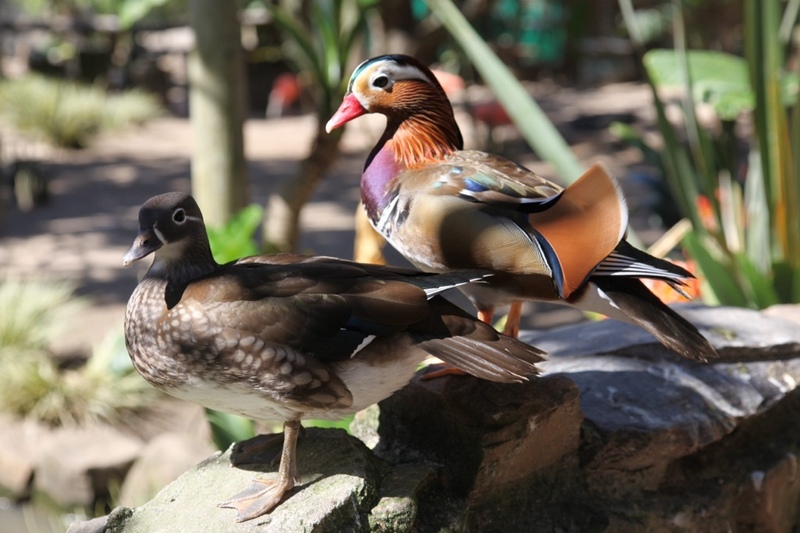 This entry was posted in Africa, Airports, Cape Town, Destinations, In transit, Johannesberg, Out and about, Packing, Planes, Planning, Pretoria, Trains, Tswalu Kalahari Game Reserve on September 22, 2014 by Amanda Barnier. Louisa posted a video diary of her favourite experiences in Africa. 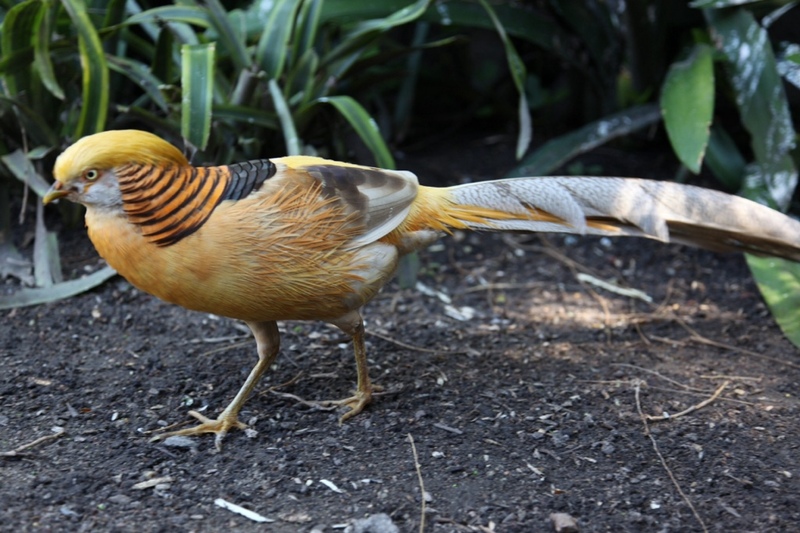 This entry was posted in Africa, Animals, Cape Town, Destinations, Out and about, Tswalu Kalahari Game Reserve on September 17, 2014 by Amanda Barnier. We arrived in Cape Town, and the Cape Grace Hotel overlooking Cape Town Harbour and Table Bay, four days ago on Tuesday afternoon. The Cape Grace Hotel sits amidst the V&A Waterfront; a collection of hotels, shopping precincts, galleries, handcraft markets, museums and other tourist attractions. On one side the view is beautiful waterfront. On the other side, majestic Table Mountain towers above us. It has been a little hard to leave the hotel because Cape Grace is so beautiful and comfortable and all of the staff are extremely friendly, especially to Louisa (who they call “baby”) and Oliver. We are staying in a wonderful two bedroom apartment with lots of space for everyone. But we have ventured out and we are in love (“thandi”) with Cape Town. 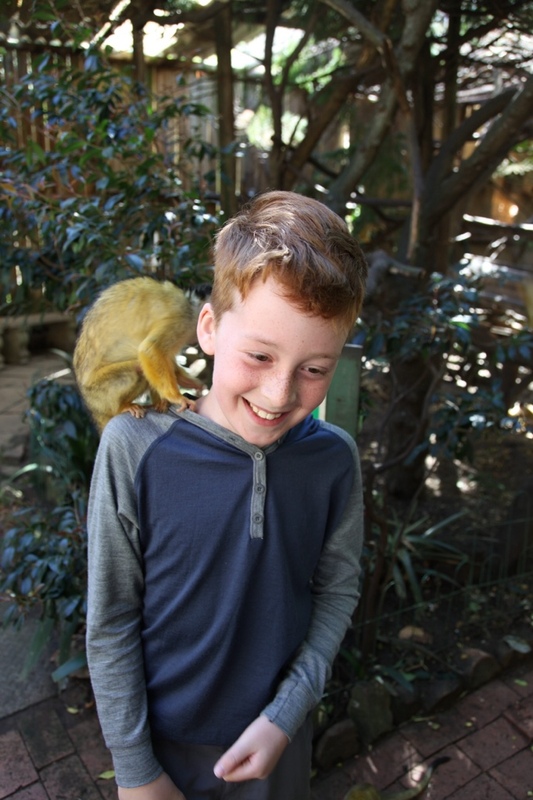 On Wednesday, after a quick visit to a doctor for Oliver (he picked up a rattly cough on the way over) we spent much of the day at the Two Oceans Aquarium. Quite like Sydney Aquarium but much cheaper, we enjoyed meeting African sea life from the Atlantic and Pacific Oceans, as well as some of their Australian cousins. 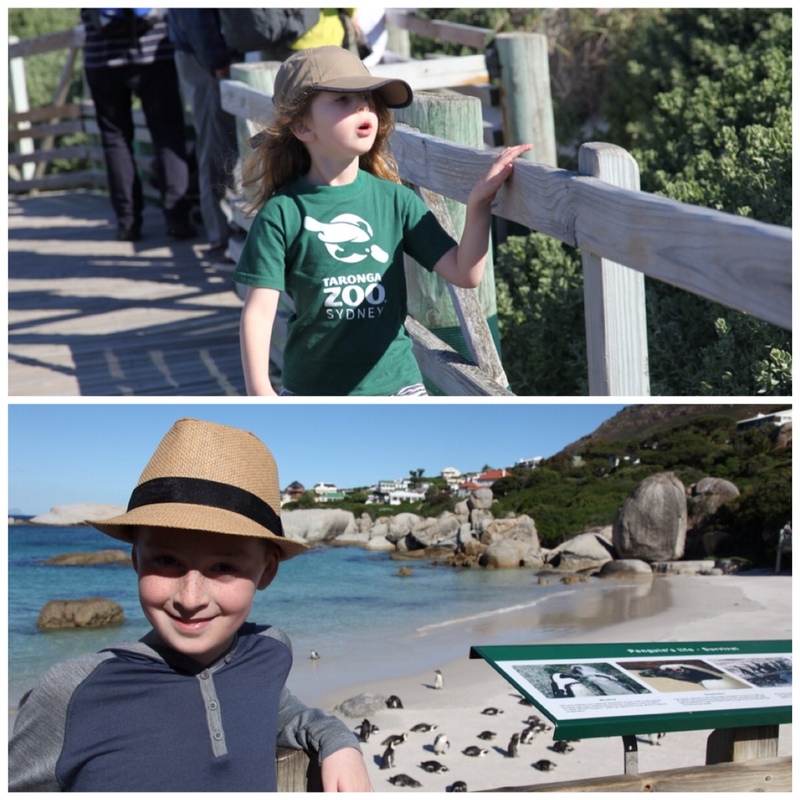 Louisa especially enjoyed the touch pools and Oliver was keen to learn more about South African Black Footed Penguins, which have become endangered (down from 1.5 million in 1910 to mere thousands now left in the wild) due to human interference with their habitat. On Thursday morning we “discovered the magic of minerals” at Mineral World Scratch Patch. 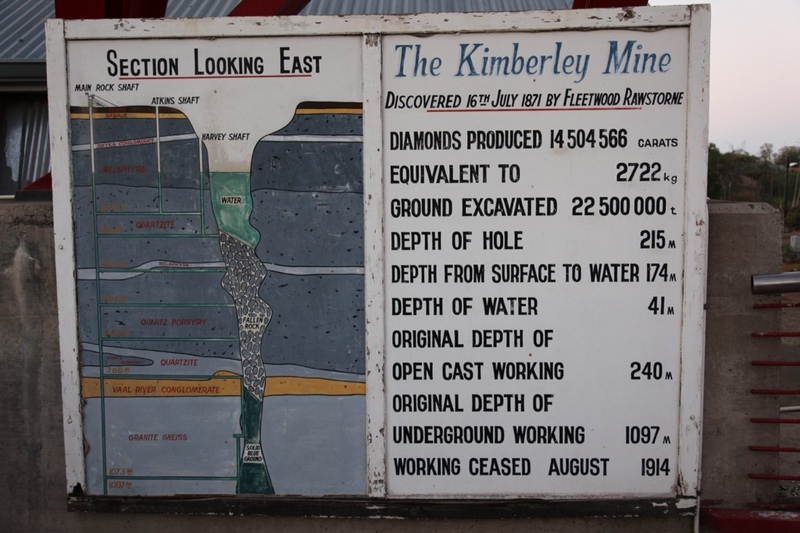 Almost half of the world’s gemstones are found in Southern Africa. 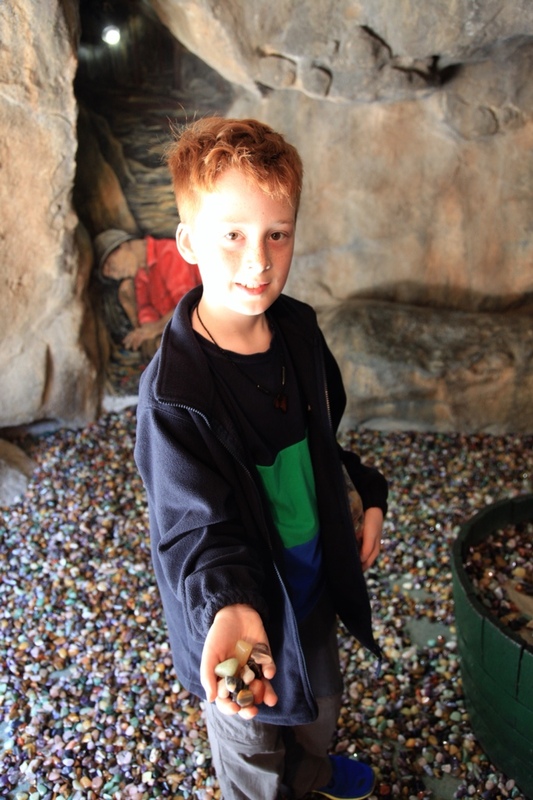 At Scratch Patch you can hunt through thousands of polished gemstones, which cover the floor of a large cave, and fill a bag with your favourites. 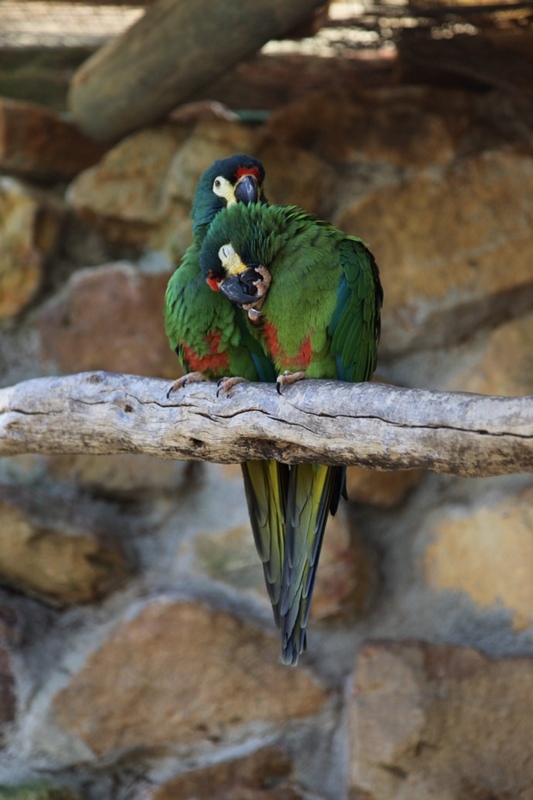 Oliver and Louisa loved hunting and then learning where their gemstones came from. 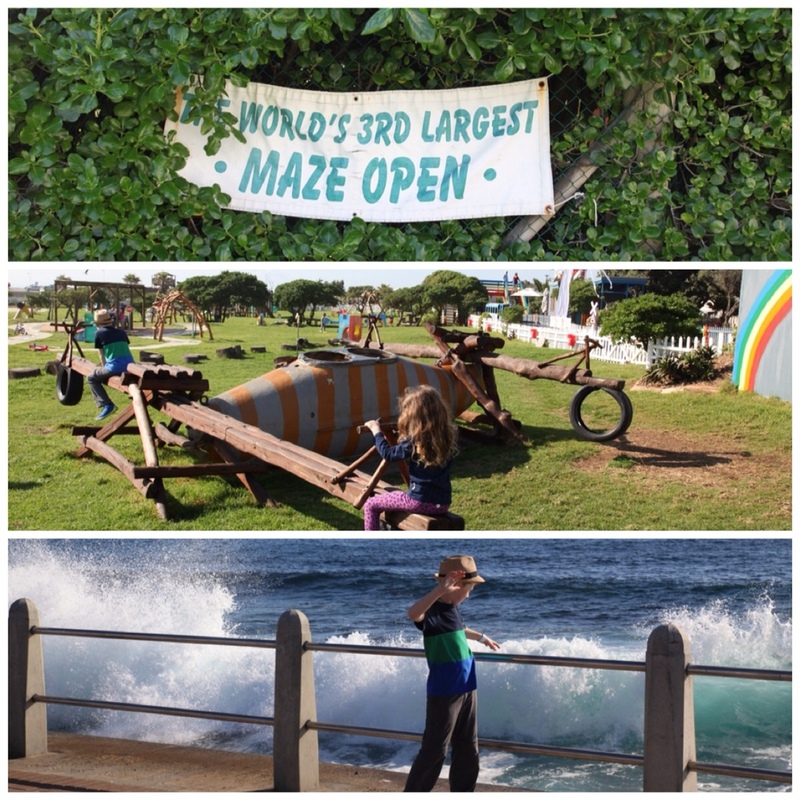 On Thursday afternoon we ventured out to Green Point Park, a beachfront area and series of playgrounds overlooking the West Coast of South Africa. First we visited the world’s 3rd largest maze and got completely lost on the way to the “magical fairy triangle” in the middle (in case you are wondering, the largest is the maze at Longleat in England; I asked). Next we played in a series of playgrounds, one with a small replica Blue Train that chugged around the perimeter of the park. Apparently it has been a feature of this park for at least 50 years. 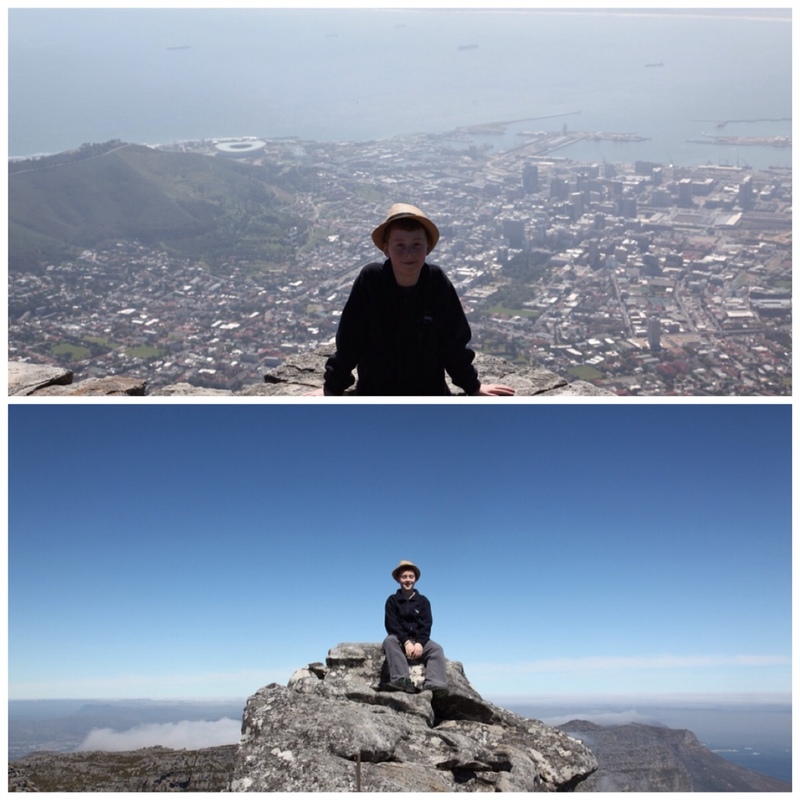 In many ways the landscape of Cape Town is similar to Sydney — especially with blue skies overhead, waves crashing on the shore, and a brisk onshore breeze — except for the ring of very large mountains. On Thursday night, capping an extremely busy day, we went to dinner at Gold’s Cape Malay restaurant. The night started with an African drumming class. We first learned how to hold our drums. 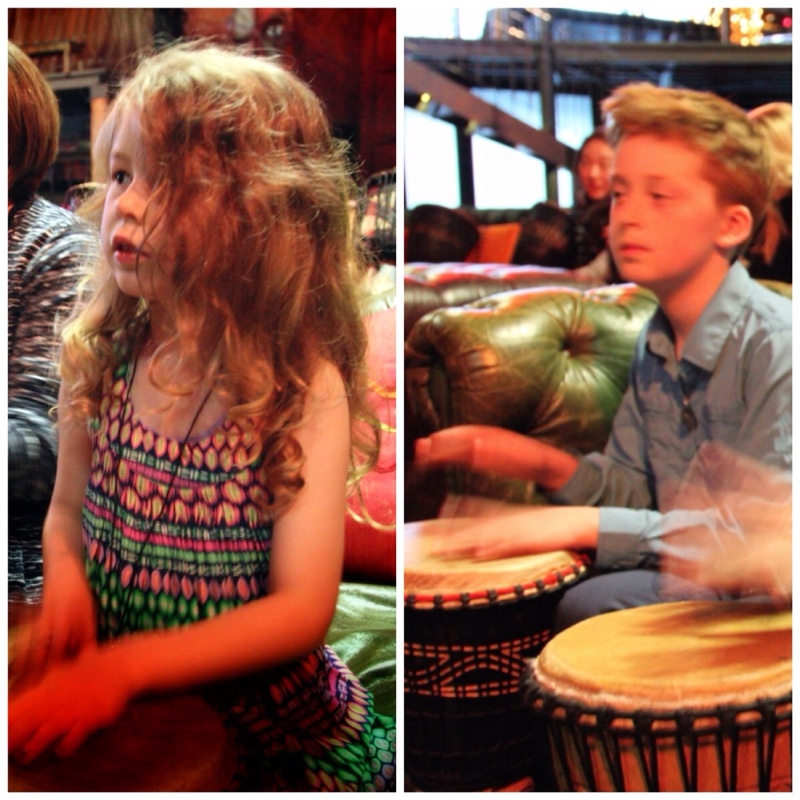 Next we learned how to make deep booming sounds in the middle of the drum or higher notes on the rim of the drum. 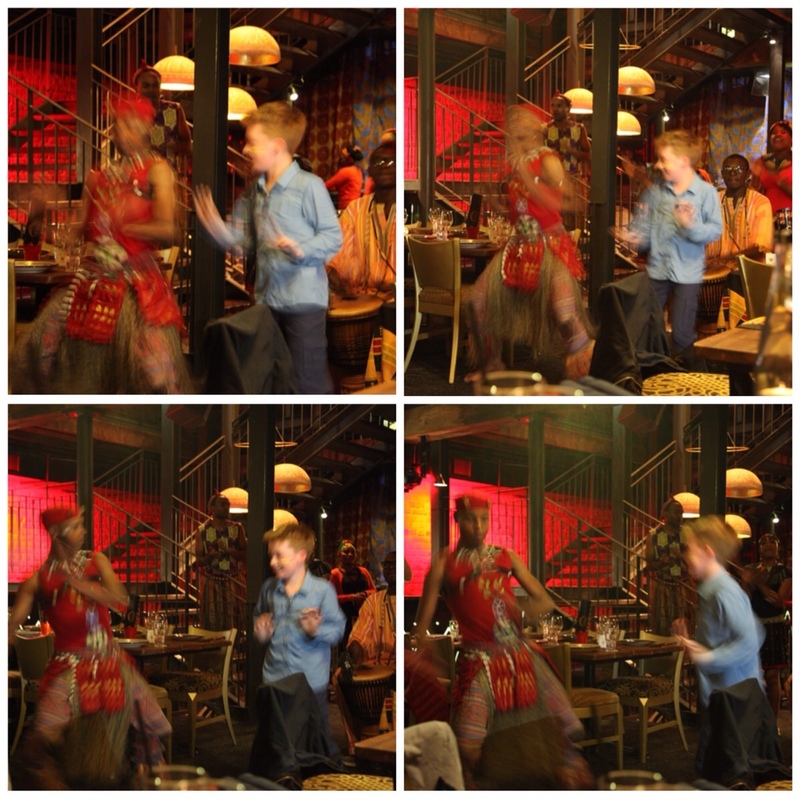 Then in between three courses of authentic Cape Malay and African dishes we were treated to African singing and dancing. 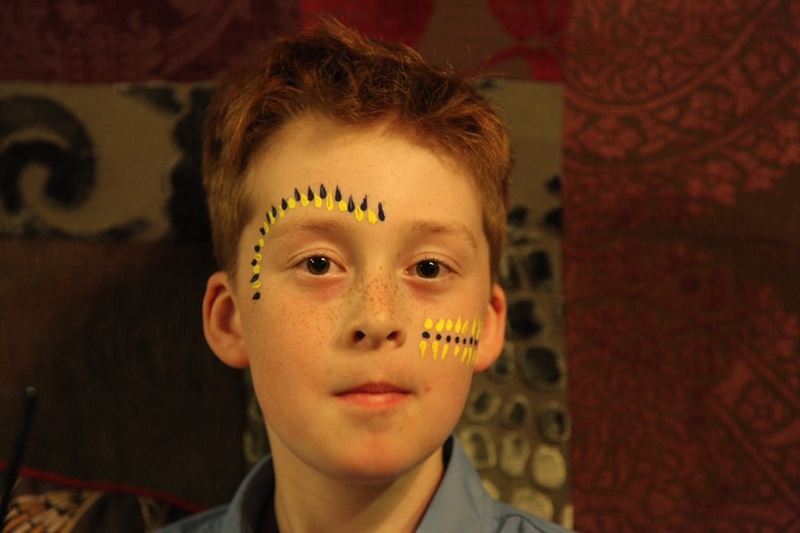 Oliver and Louisa had their faces decorated with traditional designs and at one point Oliver was invited up to dance. He more than held his own! On Friday we hired a car and driver to take us further afield, south of Cape Town down the Cape Penninsula. The scenery on this drive was spectacular. Towering mountains. Crystal blue ocean. White sandy beaches. Lush green fields. 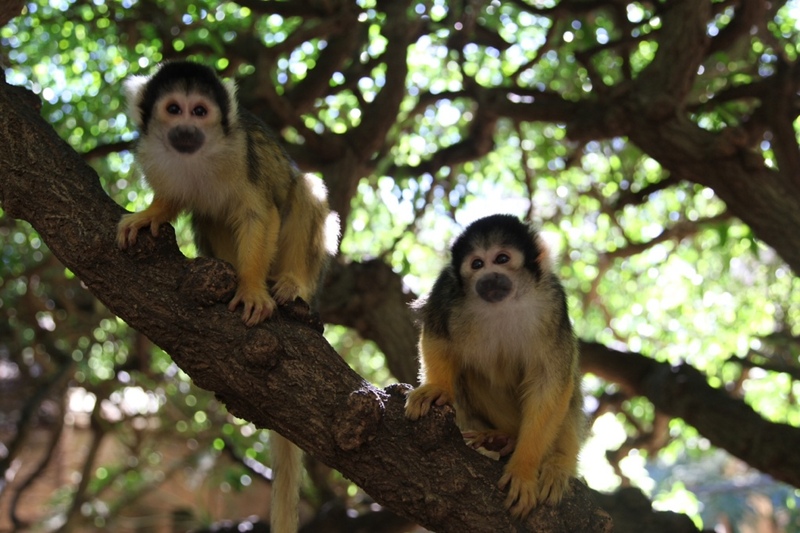 Our second stop was World of Birds Wildlife Sanctuary and Monkey Park, nearby. 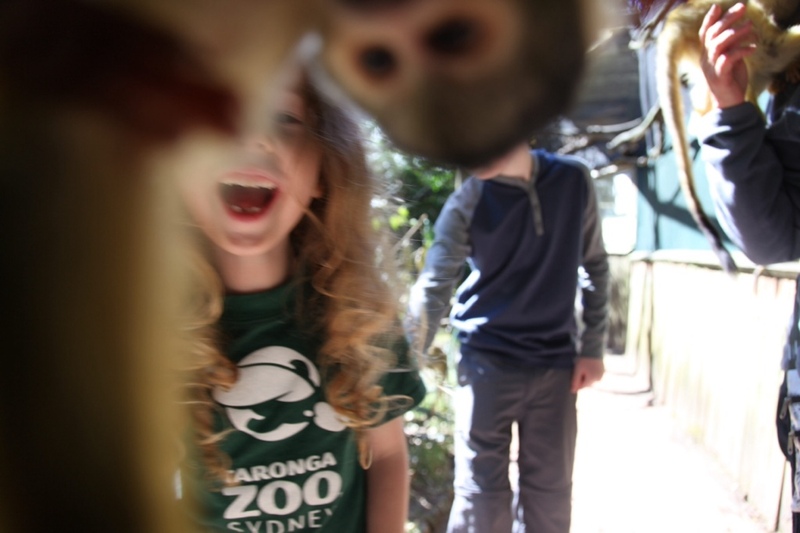 We posted separately about this stop because we saw so many amazing birds and animals, including Oliver and Louisa’s favourites: penguins and monkeys. After lunching on a picnic packed for us by the hotel, we continued further south, climbing high up to Chapman’s Peak. 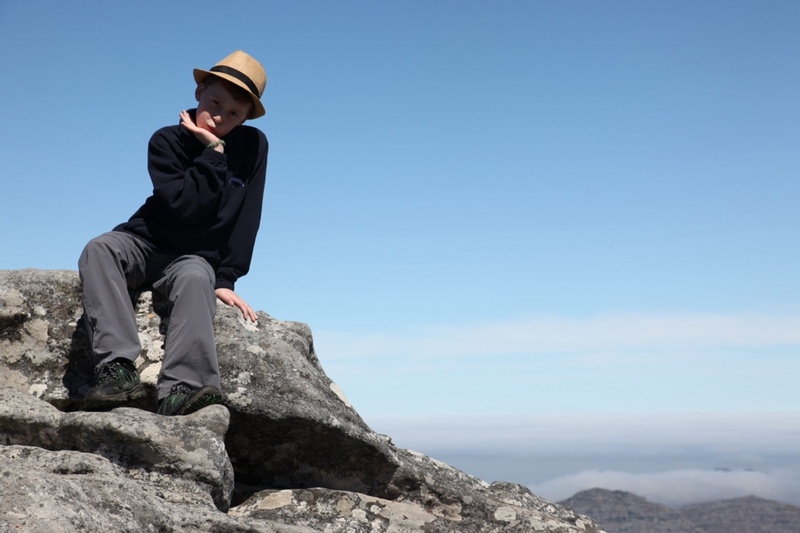 Named for a Dutch sailor who was mistakenly left behind when his crew stopped for water (before South Africa was first settled by the Dutch; apparently they sailed back hours later to find him ashen faced and surrounded by menacing wild animals), the Peak overlooks Chapman’s Bay. We saw three whales frolicking in the crystal clear waters just off the sandy beach. 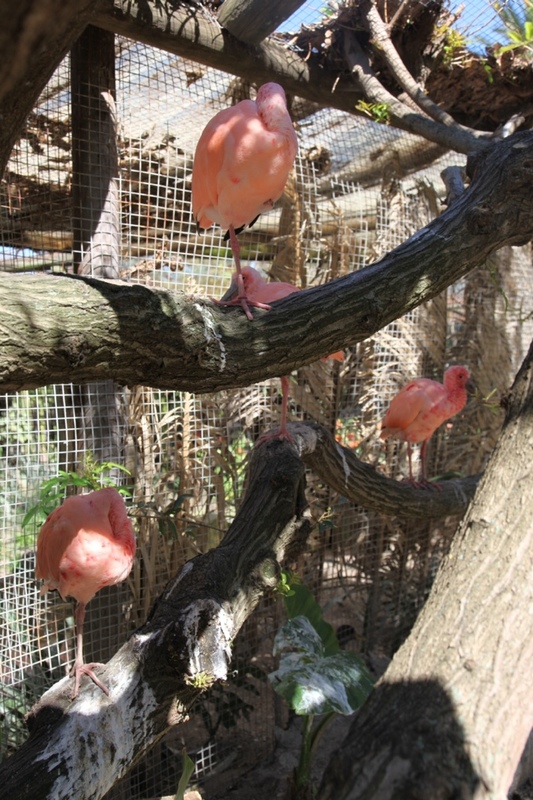 Next we crossed south west to Simon’s Town, a former Royal Naval Base and home of the South Atlantic Squadron under British occupation in the early 19th century, and on to a large African Penguin colony at The Boulders. 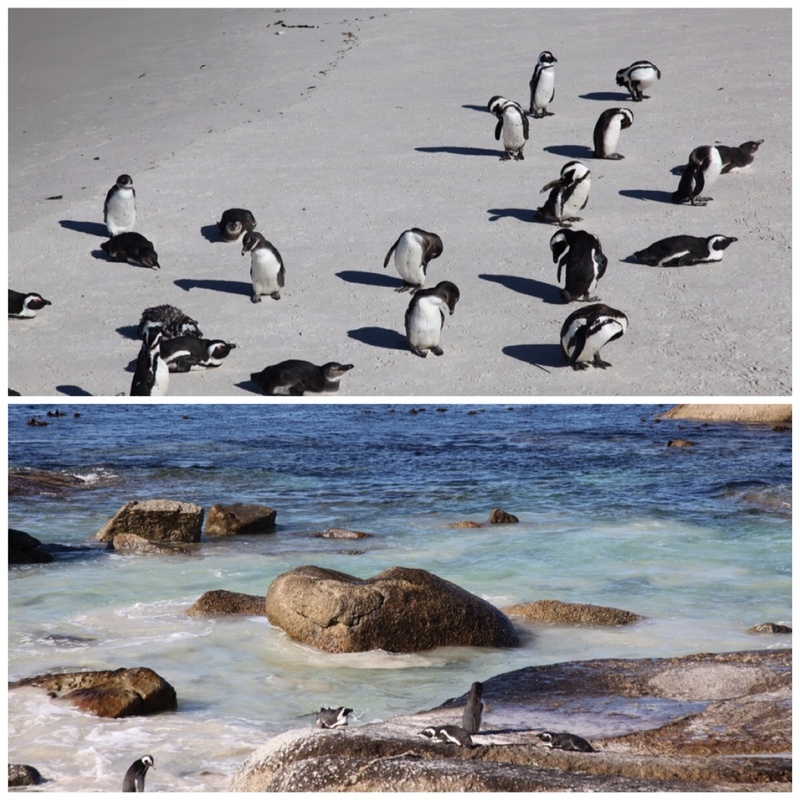 Boulders is nestled between Simon’s Town and Cape Point and home to around 2,200 penguins who swim and waddle around Foxy Beach, metres from boardwalks where we watched and took photos. By the end of the day, three busy days, we were exhausted and ready for dinner in our room and an early night. 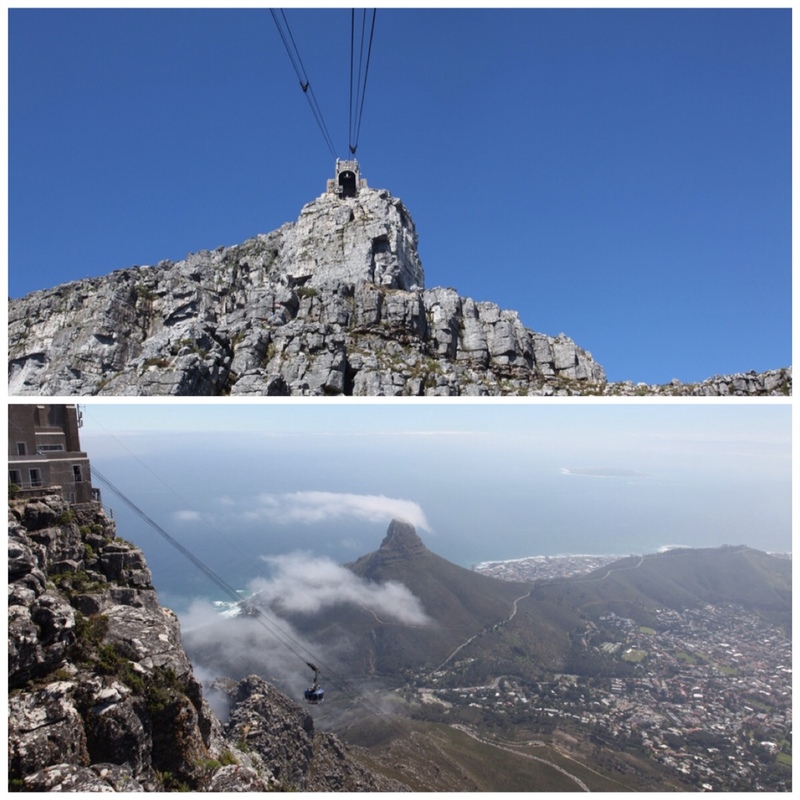 Today, our last full day in Cape Town before flying to Tswalu, we visited a Farmers Market in an old biscuit factory, toured a chocolate factory, and caught the cable car up to the top of Table Mountain. There certainly were parts of Cape Town and the Penninsula that I would have liked to explore a great deal more, such as Simon’s Town, which looked like a quaint English town. And the V&A Waterfront. But travelling with children means compromising and finding child friendly activities. 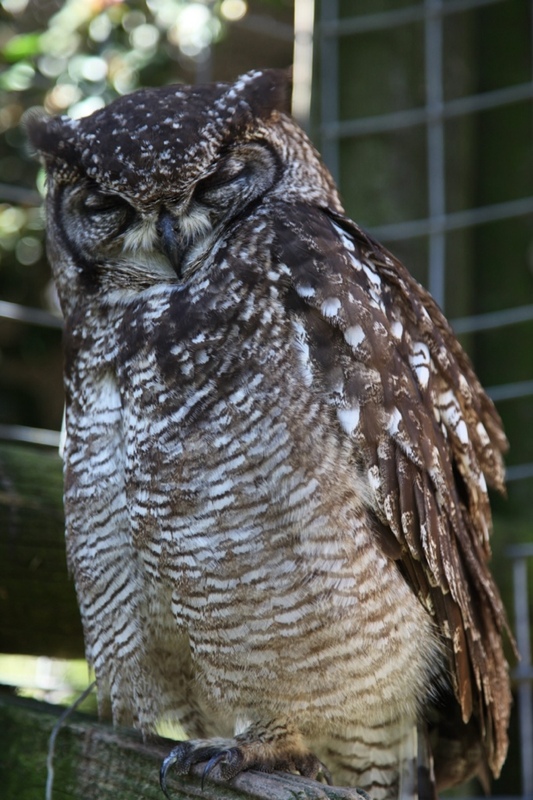 Louisa especially has little patience with sightseeing and prefers active outings, particularly if they include animals. Hopefully when we arrive in Tswalu tomorrow she will have action and animals to her heart’s content! 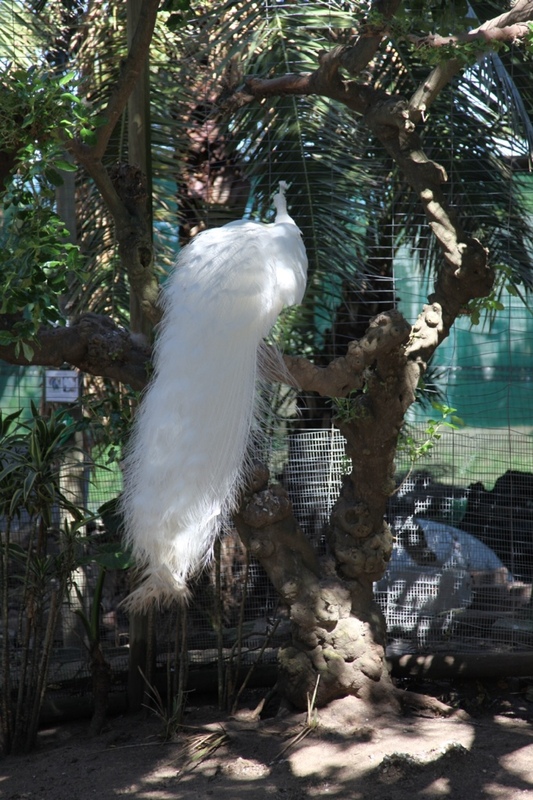 This entry was posted in Africa, Animals, Cape Town, Destinations, Hotels, Out and about on September 13, 2014 by Amanda Barnier.